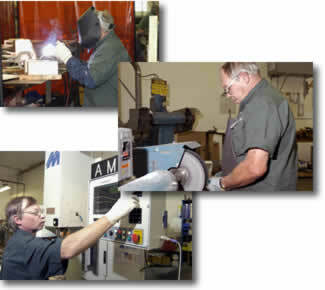 Our mission at All Metal Specialties is to provde services and products which exceed our customer's expectations. Our vision is to be recognized as the supplier of choice for custom metal fabrication. Our goal at All Metal is to serve our customers with quality workmanship, superior fabrication, and on time delivery, at a competative price. Good communication with our clients in the project process ensures smooth production. All Metal Specialties is proud to design, manufacture, fabricate, and finish at a premium quality level.